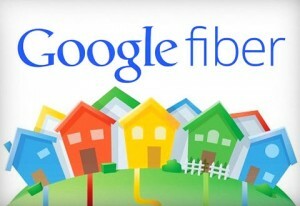 Google Fiber is a TV and internet service that is currently only located in 9 cities but is working towards expanding. Right now, Google Fiber is planning to provide free internet for low-income people who live in public housing buildings in the cities that Google Fiber already operates in. They currently provide free TV and internet for poor people in Austin, Texas, but those households need to upgrade for faster service at a certain cost. Starting in Kansas City, Missouri, Google Fiber is providing free high speed internet and TV for approximately 1,300 households. Their service is said to be faster than most Americans’ current internet services, and it is all part of a bigger plan designed by the White House to give 275,000 low-income households access to broadband. Relating this story to class, it shows how strong Google’s corporate power is and how they use it to help people and help their company simultaneously. Giving free internet and TV to poor people makes Google look charitable and generous, but it also gives more people a chance to use their website and other online services made by Google like Google Chrome, Gmail, and Google Plus. Although Google may be doing this out of self-interest, they will be helping thousands of families gain access to the World Wide Web where kids can do homework and the unemployed can access online job sites and apply from their own home. Previous China’s Aid to Africa: Monster or Messiah?